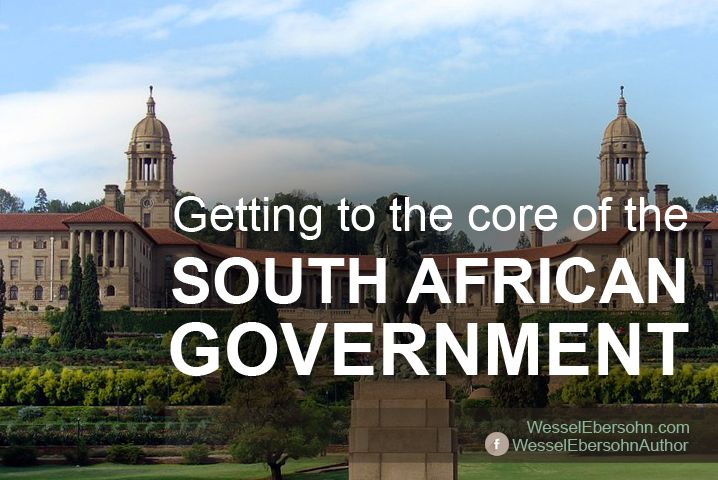 All of my Yudel Gordon novels take place at least partly in government offices, the early ones in offices of the Apartheid government and the latter ones offices of the democratic government. Creating a convincing picture of either can be a challenge. When writing about government and what takes place in government offices, it is very easy to let your prejudices run away with you. Those prejudices can be of a nature that sees everything government does as inept or even criminal, or they can as well be the kind that sees everything government does as perfect. The latter is less common among writers of fiction though. Most of us seem to have doubts about the government of our country, wherever that is. But the best books avoid prejudices altogether or, if not altogether, at least to a degree that prevents them from getting in the way of the story. There is more to writing about the activities of government functionaries than reining in your prejudices. You cannot tell a story set in government offices convincingly unless you have spent time in those offices and among those office bearers. The truth is the civil service does not consist of a bunch of clowns, and it is certainly not made up of a bunch of gangsters. What they are is a group of human beings, with all that means, who are operating under singular circumstances and subject to the prevailing culture in the department or section where they work. Ultimately, writing about the civil service is like writing about anything else. Do not do it unless you are close or at least have been close. And then there is satire. Surely, you may ask, can we not stretch the truth a bit when writing satire. It surely does not have to be the unvarnished truth. Satire is certainly something special, but I believe when creating a story in that genre there should remain an underlying strain of reality that gives your story the ring of truth. I tried to do this in Klara’s Visitors, which is a satirical attempt at the idea of Hitler’s diaries. I leave it to the reader to judge whether I succeeded.